When the first snowdrops start to appear you know winter is finally coming to an end. 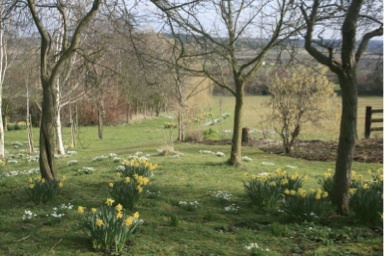 So what better way to celebrate the change in seasons than by visiting one of the many National Garden Scheme (NGS) gardens that will be open over the coming months. 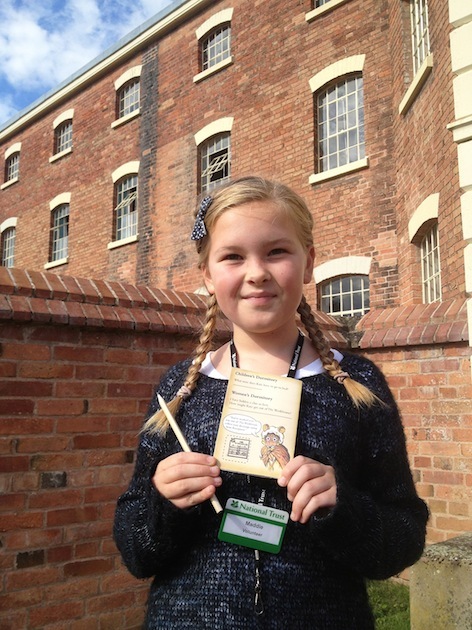 There is a special treat for children visiting The Workhouse, Southwell, when the National Trust property opens its doors for the 2014 season on Wednesday 19th February. A new children's guide and character-led trails will be available for younger visitors and their families to try for the first time. YOUNG golfers in Nottinghamshire can tee up this summer like the pros – with a new tour all of their own. The 2014 Rookie Tour will be launched across the county to continue the drive to encourage more youngsters into the sport and give them a platform to develop their skills. A team from the Nottinghamshire Golf Union, the county Ladies Association, the Notts PGA and the Nottinghamshire County Golf Partnership have been working hard to improve the competitive offering for juniors. Now they have come together – under the banner of Nottinghamshire Golf – to deliver a programme of events that will reach every level of young golfers. The Rookie Tour will complement the long-standing and successful Nippers Tour, which caters for juniors under the age of 12 on January 1, 2014, while the new season will also see the launch of a Junior Order of Merit for Nottinghamshire. The number of events for the players, who do not need a golf handicap, on the Nippers Tour has been extended to seven and entry is just £15 for the nine-hole competitions. The 2014 season will see the introduction of the Rookie Tour aimed at juniors aged 12-17 who do not have a handicap or have a CONGU handicap above 28 (boys) or 36 (girls). Three nine-hole competitions will be staged. The Junior Order of Merit will be based on six junior open events and is open to under-18s with an official CONGU handicap. Players will count their three best finishes from the six events with four categories – boys gross, boys nett, girls gross and girls nett. Lauren Spray, Get into Golf Officer for the Nottinghamshire County Golf Partnership, explains the thinking behind the new Order of Merit: "We want to provide a platform for young golfers to develop their competitive skills across a variety of courses by encouraging them to support junior open events. "This will also give us the opportunity identify talented golfers and measure performance." On 8 September 1972 a record that would inspire future generations was released by the one of the most flamboyant and charismatic bands of the original glam rock era. Marc Bolan and T.Rex stormed the charts with one of his most memorable and distinctive songs of that decade – Children of the Revolution. 40 years on the song has become iconic and legendary, along with Bolan's other best selling anthems of that year that included, Metal Guru and Telegram Sam. T*Rextasy are the only band to have been authorised and endorsed by Marc Bolan's Catalogue Management and are officially recognised as the worlds' No. 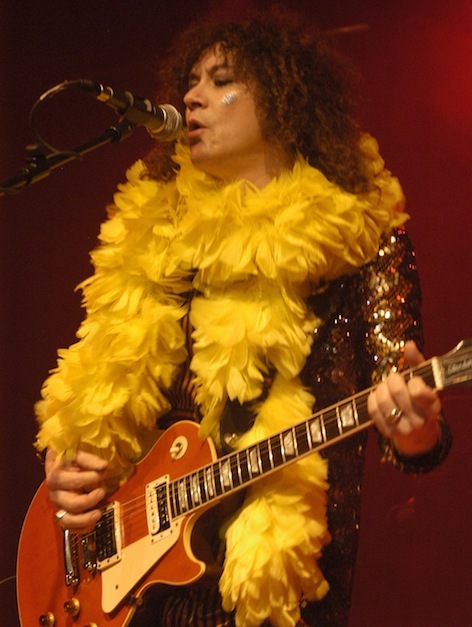 1 group dedicated to the greatest glam rocker of them all, Marc Bolan of T.Rex. With their uncanny doppelganger lead singer and lead guitarist, Danielz, T*Rextasy perform a powerful and mesmerising presentation of Mark Bolan's rock and pop anthems. T*Rextasy have now been performing around the world for 20 years, a career that ironically out lives Marc's very own T.Rex. The band has been described by many as "beyond the boundaries of tribute" and are respected in their own right. Truly a rock'n'roll concert for all ages If you would like to know exactly what a Marc Bolan concert was like in the 1970s, this show is for you! 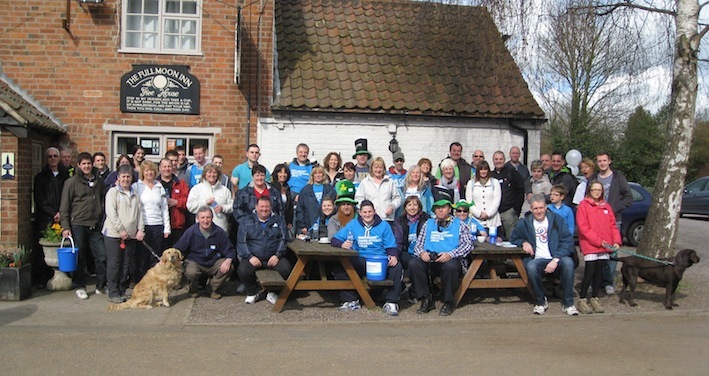 On Saturday 1st March, the 4th Pub Walk for Parkinson's will take place. Participants will meet at the Full Moon at Morton at 10.30am for coffee and bacon butties.